Benjamin Bederson contributed to the world of physics in many areas: in atomic physics, where he achieved renown by his scattering and polarizability experiments, as the Editor-in-Chief for the American Physical Society, where he saw the introduction of electronic publishing and a remarkable growth of the APS journals, with ever increasing world-wide contributions to these highly esteemed journals, and as the originator of a number of international physics conferences in the fields of atomic and collision physics, which are continuing to this day. Bederson was also a great teacher and university administrator. The first part of this volume of Advances in Atomic, Molecular, and Optical Physics (AAMOP), entitled Benjamin Bederson: Works, Comments and Legacies, contains articles written from a personal perspective. His days at Los Alamos during World War II, working on the A bomb, are recounted by V. Fitch. H. Walther writes on the time when both were editors of AAMOP. H. Lustig, E. Merzbacher and B. Crasemann, with whom Bederson had a long-term association at the American Physical Society, contribute their experiences, one of them in the style of a poem. C.D. Rice recalls his days when he was Dean of the Faculty of Arts and Science at NYU, and the education in physics that he received from Bederson, then Dean of the Graduate School. The contribution by R. Stuewer is on Bederson as physicist historian (his latest interest). N. Lane draws some parallels between "two civic scientists, Benjamin Bederson and the other Benjamin". The papers are introduced by H.H. Stroke, in an overview of Bederson's career. A biography and bibliography are included. The second part of the volume contains scientific articles on the Casimir effects (L. Spruch), dipole polarizabilities (X. Chu, A. Dalgarno), two-electron molecular bonds revisited (G. Chen, S.A. Chin, Y. Dou, K.T. Kapale, M. Kim, A.A. Svidzinsky, K. Uretkin, H. Xiong, M.O. Scully, and resonance fluorescence of two-level atoms (H. Walther). J. Pinard and H.H. Stroke review spectroscopy with radioactive atoms. T. Miller writes on electron attachment and detachment in gases, and, with H. Gould, on recent developments in the measurement of static electric dipole polarizabilities. R. Celotta and J.A. Stroscio's most recent work on trapping and moving atoms on surfaces is contributed here. C.C. Lin and J.B. Borrard's article is on electron-impact excitation cross sections. 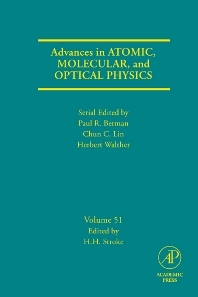 The late Edward Pollack wrote his last paper for this volume, Atomic and Ionic Collisions. L. Vuskovic and S. Popovi´c write on atomic interactions in a weakly ionized gas and ionizing shock waves. The last scientific article is by H. Kleinpoppen, B. Lohmann, A. Grum-Grzhimailo and U. Becker on approaches to perfect/complete scattering in atomic and molecular physics. The book ends with an essay on teaching by R.E. Collins. H. Henry Stroke, Professor of Physics at New York University, earned a B.S. in Electrical Engineering at New Jersey Institute of Technology in 1949, and his Ph.D. at Massachusetts Institute of Technology in 1955. He continued research in radioactive atom spectroscopy at Princeton, MIT, NYU, and ISOLDE at CERN. As NATO and Alexander von Humboldt Senior Science Awardee, work with laser spectroscopy took him to the laboratories Aim´e Cotton and Kastler-Brossel in France, and to the University of Munich and the Max-Planck Institut f¨ur Quantenoptik in Garching.